I few days ago I wrote about the types of Krabbe disease and how they fall into 4 categories: early infantile onset, late infantile onset, juvenile onset and adult onset. Because my son, William, has the most common early infantile onset, I wanted to focus for a few days on the less common types. 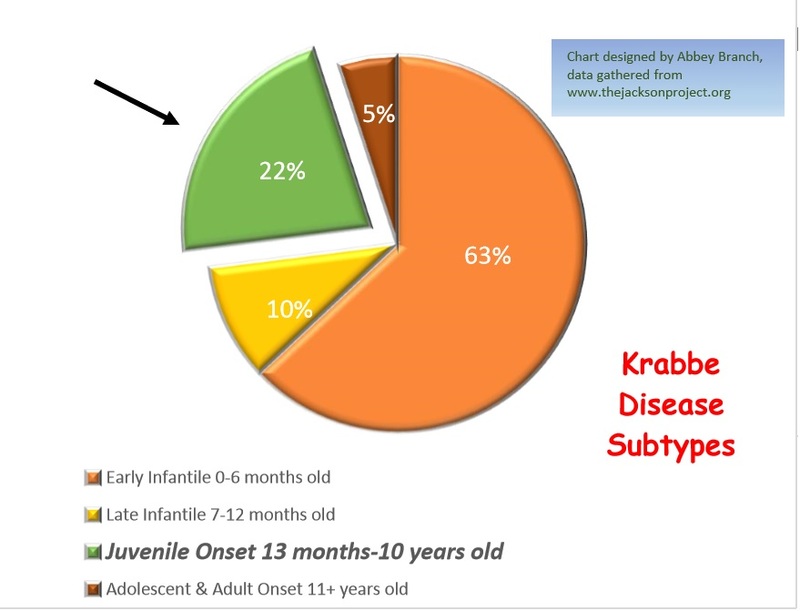 I discussed adult-onset a few days ago, and today I am going to post a little information on the juvenile onset Krabbe Disease (normal development until between the ages of 13 months to 10 years old and is approximately 22% of Krabbe cases). I only have a little bit of information; there is little known about this phenotype of Krabbe disease. The disease progresses slowly, often lasting years. Meet the amazing little boy, Judson, as he battled Juvenile Onset Krabbe. Judson lived a short life, but continues to educate and impact everyone that comes into contact with his memory.